Posted on March 28th, by Kathryn Kutchel in Events, Melbourne, News, Our people, Projects. 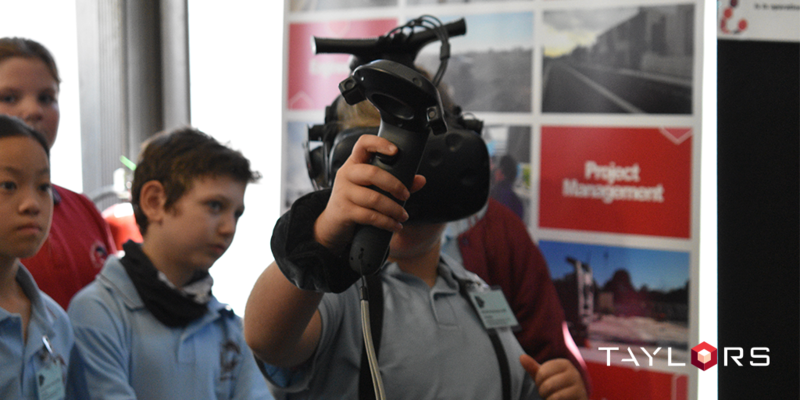 As a cutting-edge company leader in the field of virtual reality, Taylors have been working with the Australian Grand Prix Corporation since 2011 to deliver virtual models of the Grand Prix circuit and helping the organisation to make quick decisions around event layout based on the models that are created. 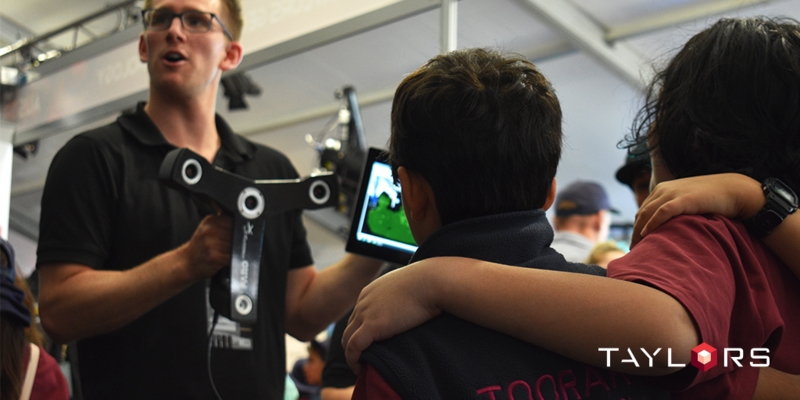 In this, their eighth year of collaboration, Taylors presence at the race was in a teaching and development capacity providing a great platform for primary and secondary schools in attendance to gain some insight into laser scanning technology, VR and 3D printing, and engaging their interests in STEM. A rotating team of Taylors experts made the Grand Prix weekend a great opportunity for networking. Individuals from various Taylors teams came together to bring their own expertise to the Hub and to also challenge themselves and broaden their knowledge of what they are exposed to each day. “Working with a vibrant different Taylors team than what I would normally work with was a different environment and a good way to interact with different parts of the business as we all aim for the same goal.” Remarked Asset Recording Coordinator, John Watkins. 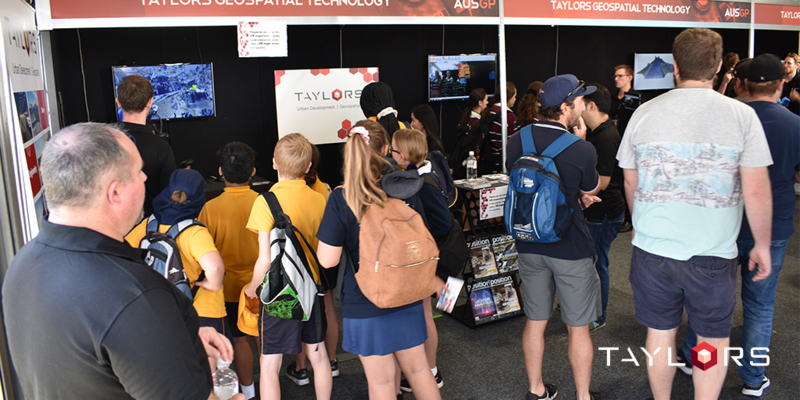 Aside from broadening the creative minds and career potentials of young attendees, the Taylors team were also exposed to new learning and networking opportunities as a diverse crowd filtered through the Innovation Hub, and teammates shared innovative developments from within their own departments. 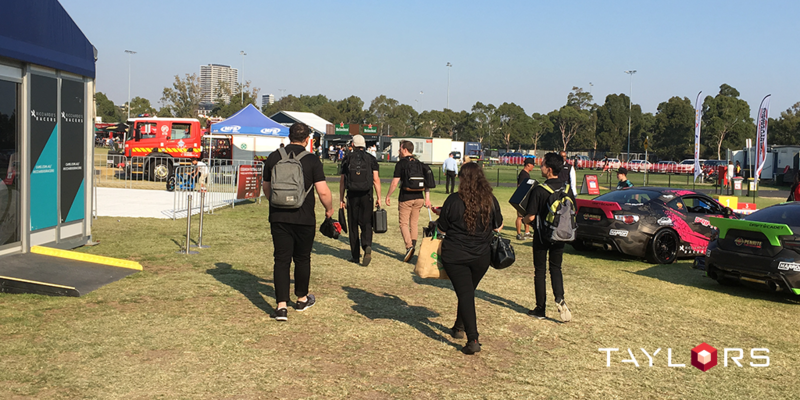 Taylors are set to continue their work with the Australian Grand Prix Corporation in whatever capacity the industry continues to move in, and we’re keen to keep inspiring the young minds of tomorrow. To read more about our Grand Prix experience click here, and to enquire about whether our technological capabilities are suited to your next project please contact us to know more.